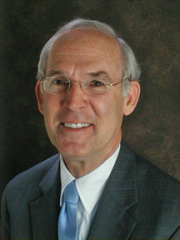 Bob McQuade is the Ada County Assessor, and is serving his seventh consecutive term since first being elected in 1994. He holds a BA degree in Economics from George Mason University, as well as an MBA from Boise State University. In addition to being a guest lecturer for the Lorman Educational Services and Boise State University, Bob served as President of the Idaho Association of Counties, and is Past President of the Rotary Club of Boise. He is also involved in the International Association of Assessing Officers, Boise Chamber of Commerce, Business Professionals of America, National Association of Counties, Idaho Historical Society, Idaho Museum of Mining and Geology, Mountain West Outdoor Club, and is an active member of St. Mary’s Parish. He and his wife Joanne have one child and two grandchildren. The Land Records Division has converted nearly all of its paper maps to electronic maps. State-of-the-art technology in the Appraisal Division has vastly improved the accuracy and timeliness of the office’s property records and appraisal information. Waiting lines at the Motor Vehicles Division have practically vanished. In 2012 the Ada County Assessor’s Office was awarded the IAAO Certificate of Excellence in Assessment Administration and achieved recertification of this award in 2018.